DSC_2761, a photo by Andrea Pokrzywinski on Flickr. 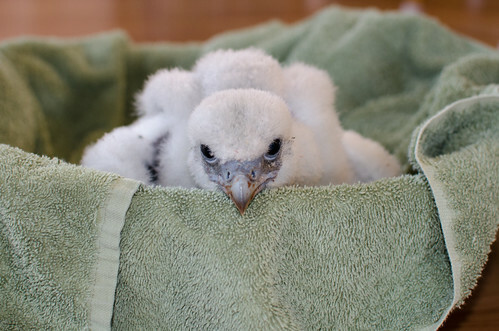 Introducing Fiona, Tom’s new gyrfalcon. 15 days old. Just like the princess in Shrek, she will morph into a graceful hunting machine over the next few weeks.